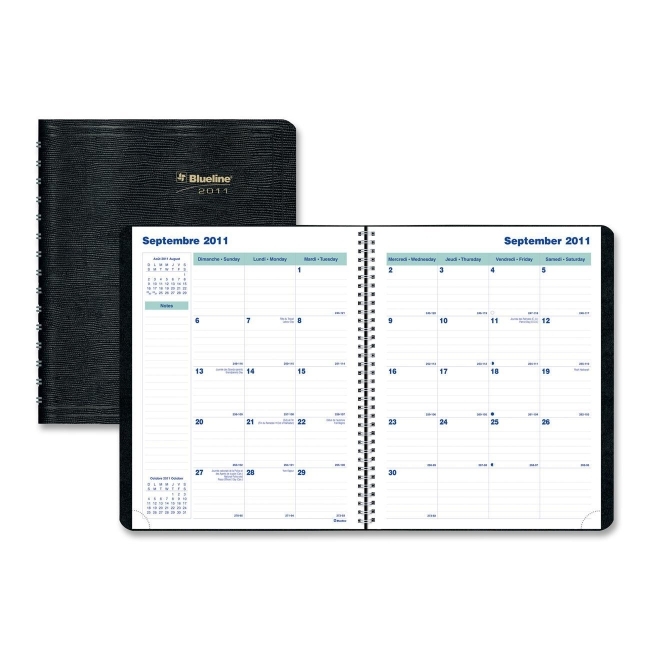 Sixteen month monthly planner provides September through December planning with a two page spread for each month, one ruled block for each day. Offers removable and repositionable telephone/address and notes sections, self-adhesive laminated tabs and twin-wire binding. Size is 11" x 9-1/8", detached size is 11" x 8-1/2". Soft cover. Bilingual. Paper includes 30 percent post-consumer material.